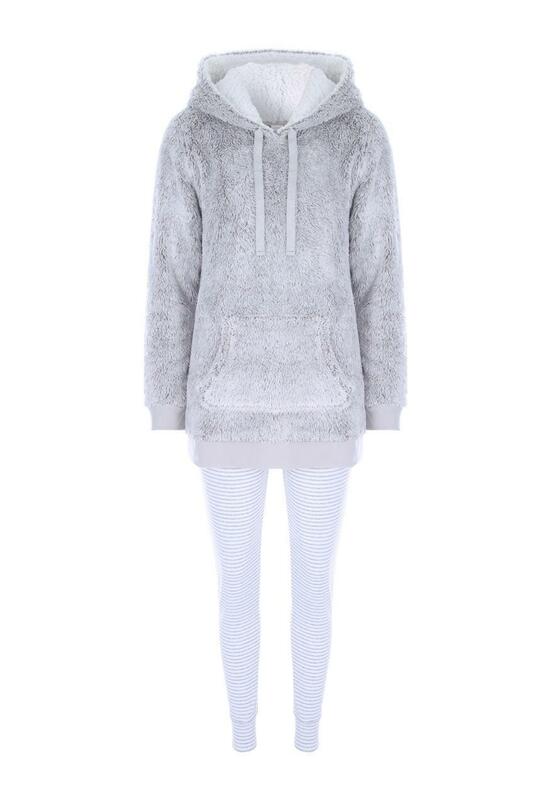 Lounge in comfort in this cosy set. Containing a grey fleece long line hoody top with a front pocket and matching striped leggings, it'll make a snug addition to your collection. All same comments as for purple ensemble.